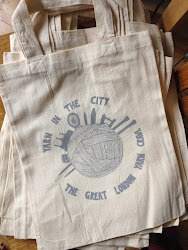 It seems we started something last year with leaving a sponsor until the very end to showcase *just* before the start of the Yarn Crawl because we've done it again this year - just to whet your appetite for tomorrow and get you even more excited about the after-party sponsored by Pom Pom Quarterly. 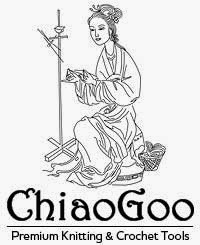 We're excited to welcome ChiaoGoo as a sponsor of this year's yarn crawl. 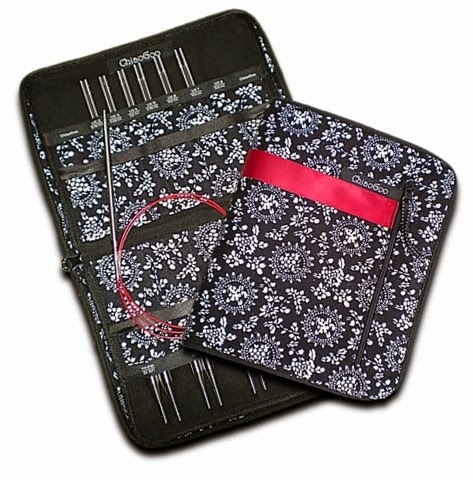 We've been a fan of their high quality tools for some time which range from bamboo crochet hooks and knitting needles to their incredibly popular stainless steel Red Lace circular knitting needles with cables that don't twist or kink when you're using them. They even have a range of accessories too, our favourite of which is the Yarn Butler. Even better, their interchangeable Twist and Spin sets allow knitters to swap between stainless steel or bamboo, and cable components as well. The Spin nylon cables are fantastic for magic loop! Both are packaged attractively in their own carry cases with stitch markers, end stoppers, extra cables and a needle gauge - everything you need really! And with the option to buy only small or large sizes in one kit, or a complete set, it's no wonder knitters really appreciate their flexibility. Earlier this year ChiaoGoo launched in the UK the newest addition to their range of sets: DPN sets for sock knitters in both stainless steel and bamboo - and we're thrilled to have been given one of each by ChiaoGoo's UK distributor. We'll be giving away the stainless steel one as a door prize, and the bamboo one has been tucked into the Grand Prize raffle basket. And if you don't knit socks, this is a great time to start! Or, perhaps you'll discover as Allison has that they're incredibly useful for other things like small hats or other projects knit in the round. ChiaoGoo means "highly skillful and crafty lady" in Chinese and we think they're the perfect pairing for helping us all to be a little craftier! Thank you for making #GLYC2014 awesome!